It is important for you and other humans who are sensitive to the subtle energy signature of others, as well as the personal interaction with other matrices, to take the time to keep your own personal energy field clear, clean, and centered. There is a higher level of stress and discordant energy happening on all fronts. Remember to stay in your pure calm center and radiate the vibration of joy, gratitude, and appreciation. These vibrations will reflect and deflect any discordant or disturbing energy fields that you encounter. The more conscious and responsible each Starhuman becomes in creating a coherent energy field within and then radiating it out to all, the greater the service to mankind. Ride your breath. Dwell in your sacred heart space. No matter what is happening around you, no matter what energy matrix you encounter, continue to anchor and hold a pure high vibration in the midst of any discordant fearful emotions and energy signature. Ask for support from the realms of truth and light. 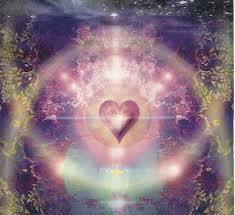 There are beings of divine love who can and will embrace you in an energy matrix of upliftment and protection.